Small top-loading personal laser printer, intended for light printing needs. Discontinued model. Recommend the LaserJet 1320 series instead. Small, light duty laserjet. Discontinued model. Recommend LaserJet 1320 instead. Small, light duty LaserJet. Discontinued model. 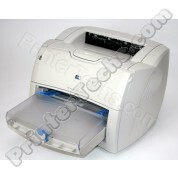 Recommend LaserJet 1320 series instead. The LaserJet 1320 is a small light duty printer which features speedy output (22 pages per minute) and built-in duplexing (2-sided printing). The LaserJet 1320 is a compact light duty printer which features fast printing (22 pages per minute), a built-in network card, and built-in duplexing (2-sided printing). The LaserJet 1320NW is a compact light duty wireless/network-ready printer which features fast printing (22 pages per minute), a built-in network card, and built-in duplexing (2-sided printing). The LaserJet 1320TN is a compact light duty printer which features 2 cassette trays with 250 sheet capacity each, fast printing (22 pages per minute), a built-in network card, and built-in duplexing (2-sided printing). 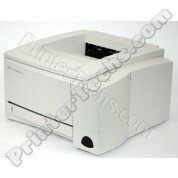 The HP LaserJet 2100 is a reliable small workgroup or personal laser printer. 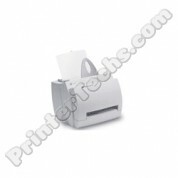 Comes standard with one 250-sheet paper tray, plus a bypass tray which folds down on the front. 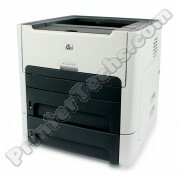 The HP LaserJet 2100TN is a reliable printer for home office / small business use. 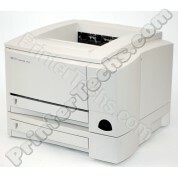 Comes standard with a 600N JetDirect card and two 250 sheet trays. 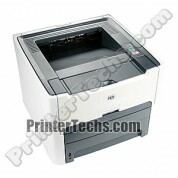 The HP LaserJet 2200 is a great small workgroup or personal laser printer. 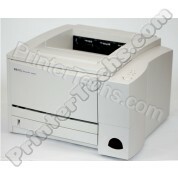 This model includes one 250-sheet input tray.